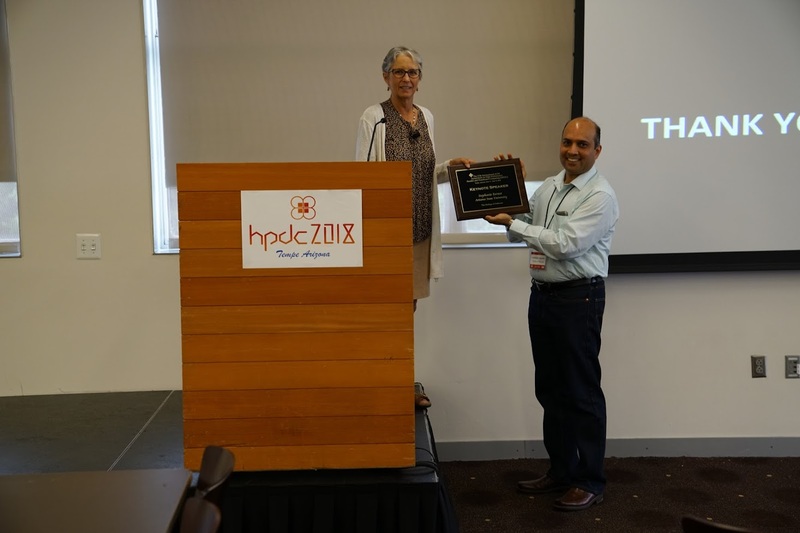 HPDC'18 will be held in Tempe, Arizona. 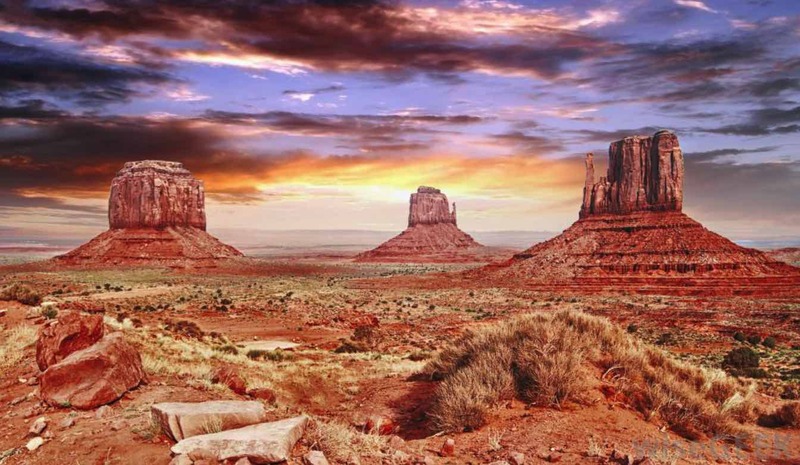 Arizona is home to the Grand Canyon as well as a variety of terrain, climates and cultures. 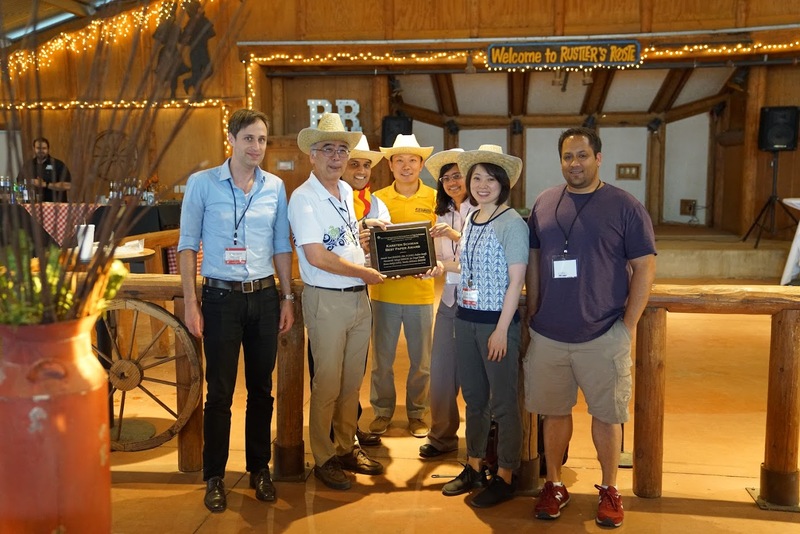 It has marvelous landscape like red canyons, cactus deserts, and mountains as well as man-made attractions like engineering marvels, esteemed museums, vibrant cities, and historic settlements. 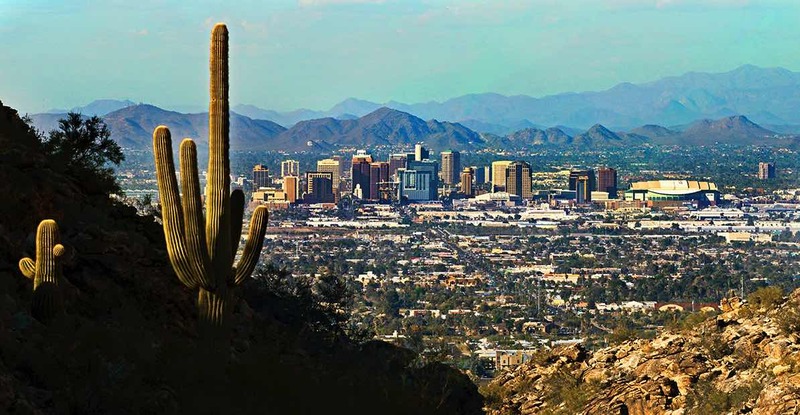 Phoenix is the capital and most populous city of the state of Arizona, and the anchor of the Phoenix metropolitan area, also known as the Valley of the Sun. 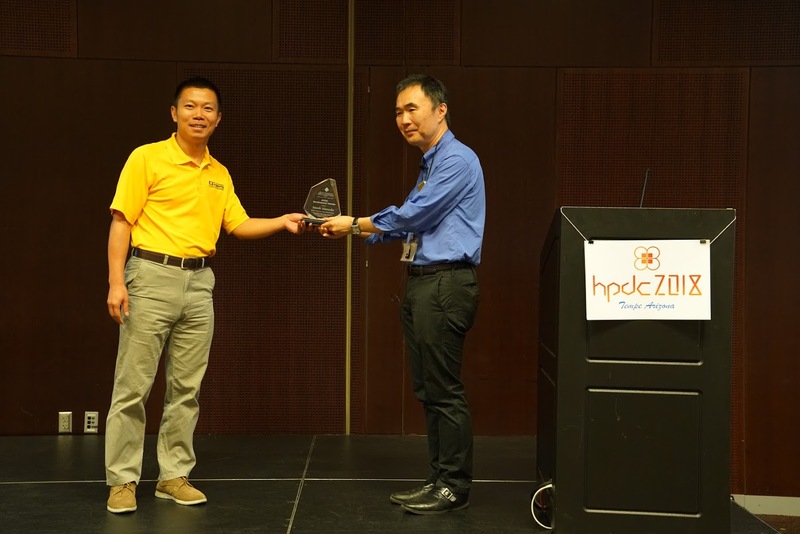 Visitors can get to the know the city through its various types of indoor and outdoors activities. For more information about local and state attractions click here. Tempe is a city just east of Phoenix, in Arizona. 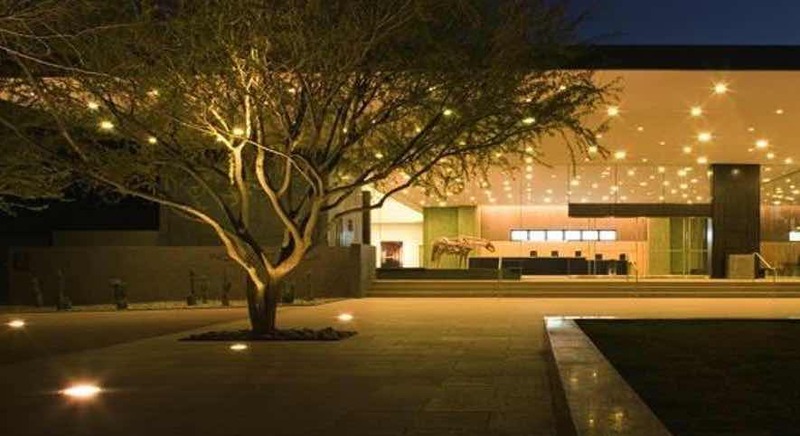 Its striking Tempe Center for the Arts hosts concerts, dance and comedy shows. Nearby, Tempe Town Lake is dotted with kayaks, pedal boats and paddleboards. Tempe Beach Park hosts outdoor festivals. Rising above the city, Hayden Butte is a mountain dotted with centuries-old rock art. Sporting events and concerts are held at Wells Fargo Arena. 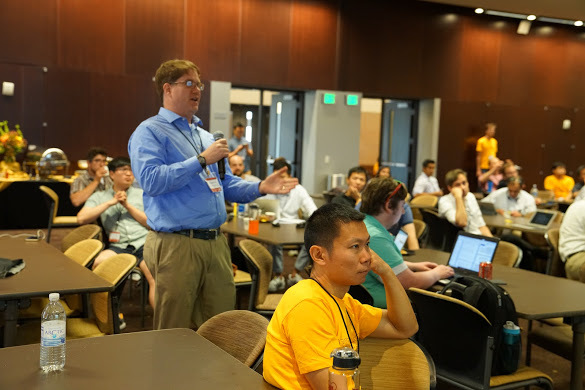 Here is a link to interactive map of Tempe. 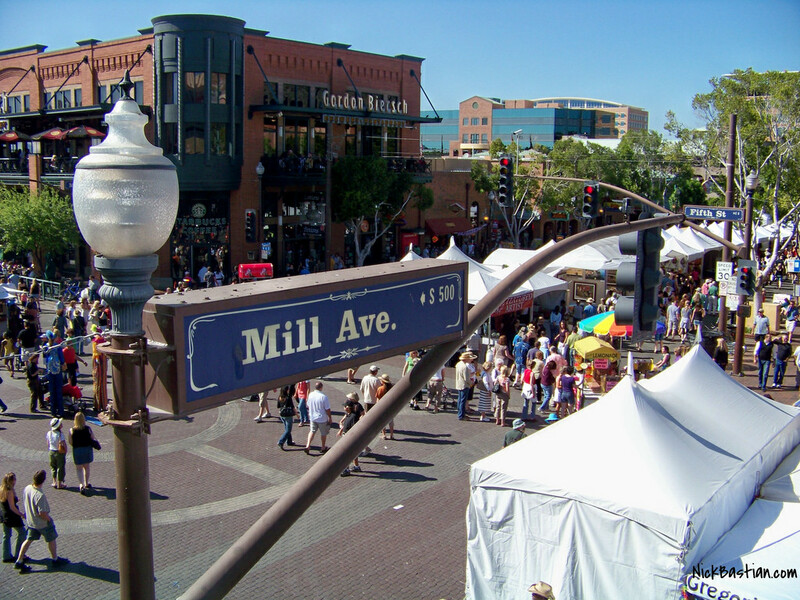 Tempe Mill Avenue is pedestrian-friendly with something happening almost every day of the week. Combined with the nearby Tempe Town Lake, there are hundreds of events scheduled year-round including the Tempe Arts Festival and the Insight/Fiesta Bowl New Years Block Party, voted one of the Top 10 New Year's celebrations in the country. 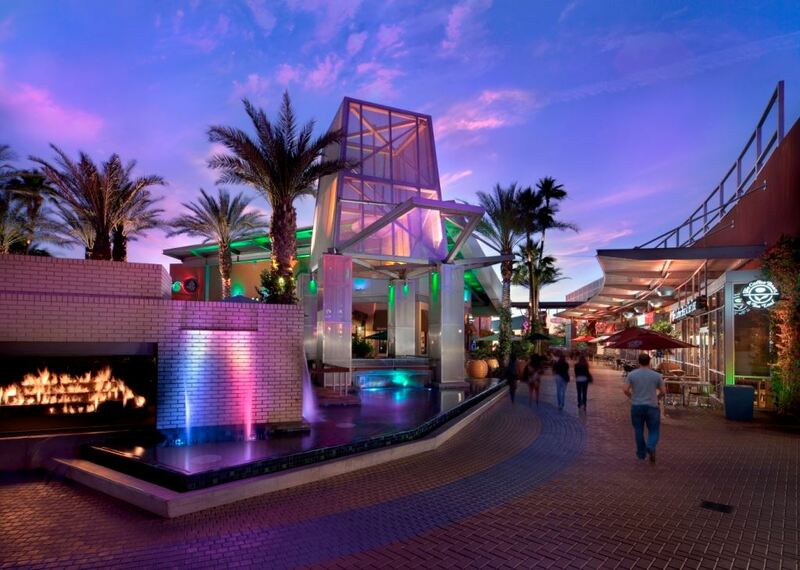 With 1.3 million square feet of retail space, featuring dramatic light and laser elements, outdoor fireplaces and unique water features, Tempe Marketplace delivers an interactive shopping, dining and entertainment experience in a vibrant, high-energy outdoor setting. 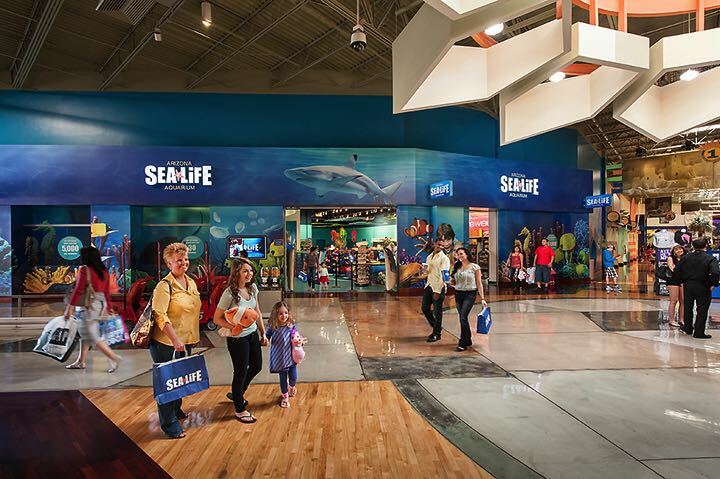 Sea Life Arizona is a 26,000 square foot interactive aquarium located at Arizona Mills in Tempe, Arizona. 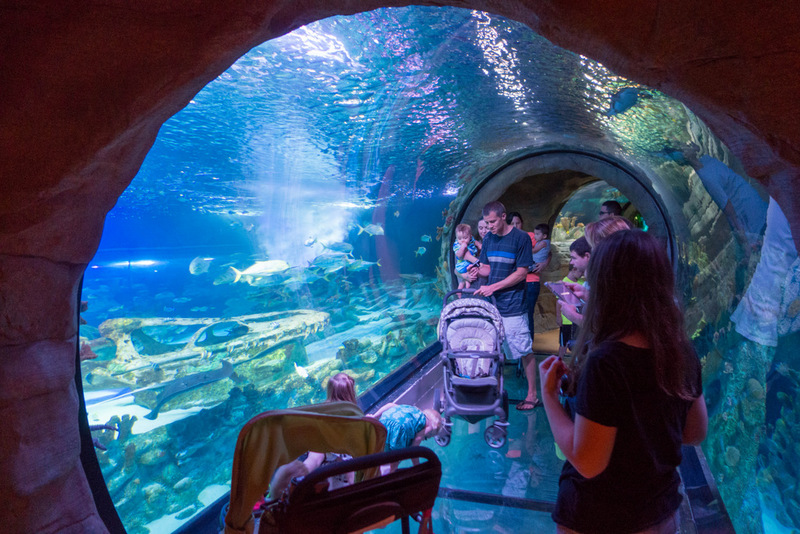 The aquarium contains thousands of aquatic creatures, plus interactive touch pools and a 360° ocean tunnel. 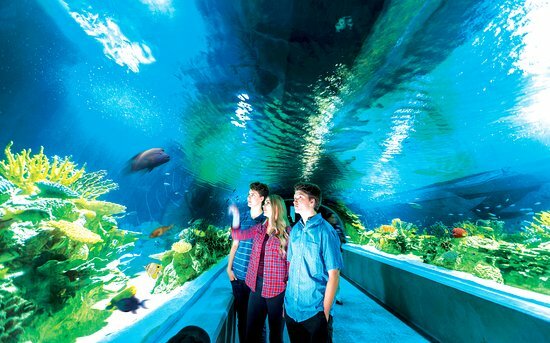 Sea Life Arizona is owned and operated by Merlin Entertainments, which operates over thirty other aquariums in eleven countries on two continents. Arizona’s best waterpark is the best place to spend those hot summer days. Enjoy waterslides, America’s original wave pool at Waikiki Beach or kid friendly water park attractions like Bora Bora Bay or Captain Cook’s Landing. The greater Phoenix area offers visitors an array of impressive cultural attractions. It is known for high-end spa resorts, Jack Nicklaus-designed golf courses and vibrant nightclubs. The city also offers access to numerous outdoor endeavors including rock climbing, hot-air ballooning, desert jeep tours and more. Family-friendly attractions, first-rate shopping, dining and entertainment, and spectacular recreational activities make Phoenix a must-visit destination. Phoenix is home to a large number of parks and recreation areas. The city of Phoenix includes national parks, county (Maricopa County) parks, and city parks. Tonto National Forest forms part of the northeast boundary of the city, while the county has the largest park system in the country. 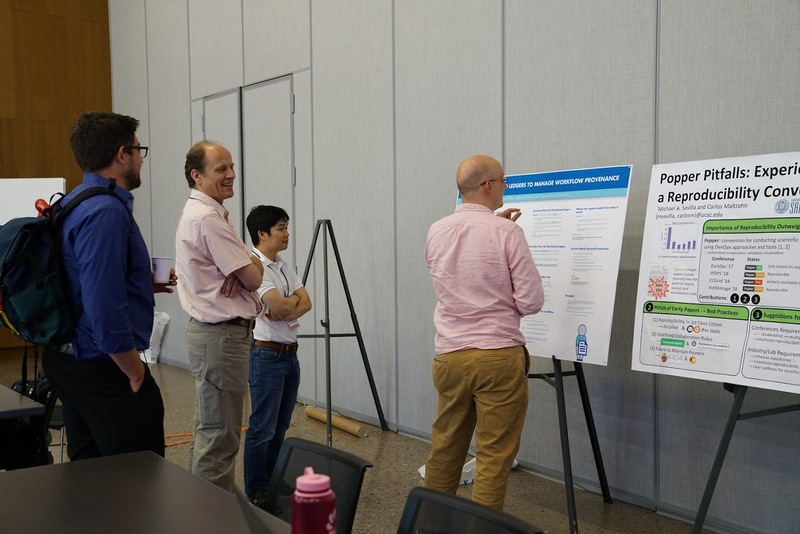 The city park system was established to preserve the desert landscape in areas that would otherwise have succumbed to development and includes South Mountain Park, the world’s largest municipal park with 16,500 acres (67 km2). The city park system has 182 parks which contain over 41,900 acres, making it the largest municipal park system in the country. The park system has facilities for hiking, camping, swimming, horseback riding, cycling, and climbing. 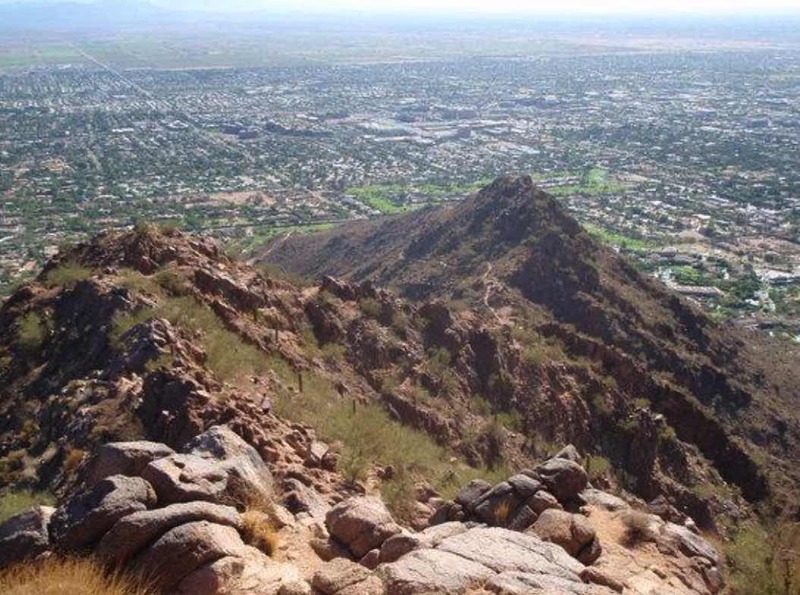 Some of the other notable parks in the system are Camelback Mountain, Encanto Park (another large urban park), and Sunnyslope Mountain, also known as “S” Mountain. Papago Park in east Phoenix is home to both the Desert Botanical Garden and the Phoenix Zoo, in addition to several golf courses and the Hole-in-the-Rock geological formation. 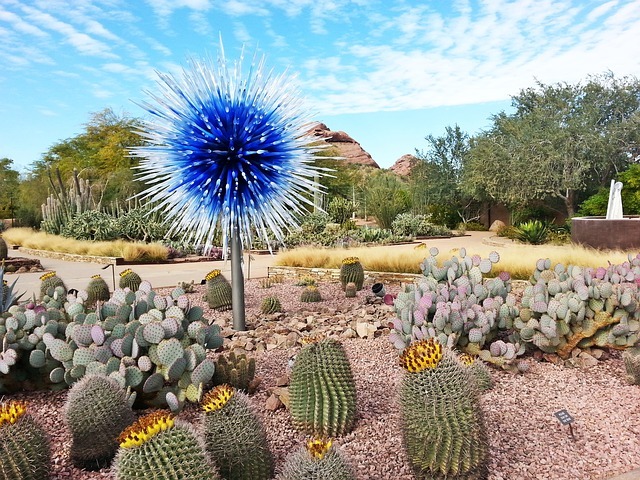 One of the local attractions include the Desert Botanical Garden, where visitors can observe a great collection of desert plants from all around the world. The Desert Botanical Garden offers the world's finest collection of arid plants from deserts of the world in a unique outdoor setting. The Garden has more than 50,000 desert plants on display throughout five thematic trails that illustrate topics such as conservation, desert living, plants and people of the Sonoran Desert, and desert wildflowers. Visit the Garden and enjoy specialized tours, special events, seasonal exhibits, concerts, family activities, Gertrude's restaurant, Patio Café and the Garden's gift and plant shop. 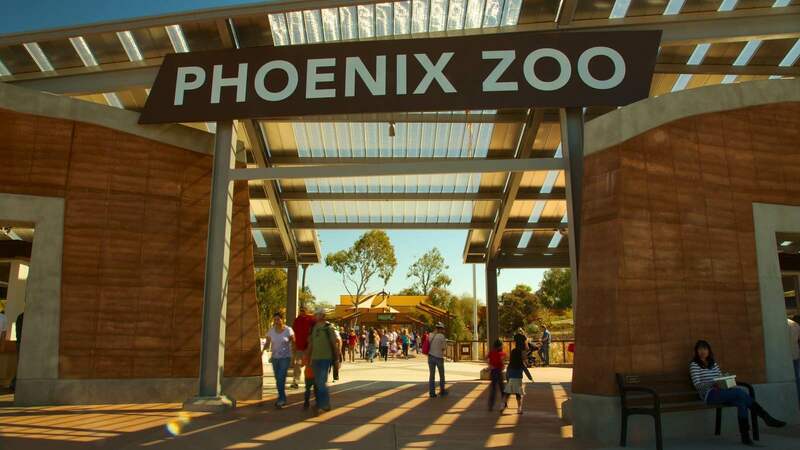 Visitors can also visit the Phoenix Zoo, one of the nation’s largest non-profit zoos, committed to conservation and providing experiences that inspire people and motivate them to care for the natural world. The zoo has over 1,400 animals on display and contains 2.5 miles (4.0 km) of walking trails. A variety of malls and shopping centers are located in the region, such as Arizona Mills the state's largest indoor, climate controlled outlet, value and entertainment mall. Arizona Mills offers shops, services and brands you love at prices you can afford - everything from Women's Fashion to Jewelry to Shoes and more. Conveniently located on the Arizona Mills Interchange at the intersection of I-10 and US 60, you'll find us just 10 minutes south of Skyharbor Airport, and 10 minutes west of the ASU campus. In addition, Phoenix Premium Outlet features an impressive collection of the finest brands for you, your family and your home. Dozens of museums exist throughout the valley. 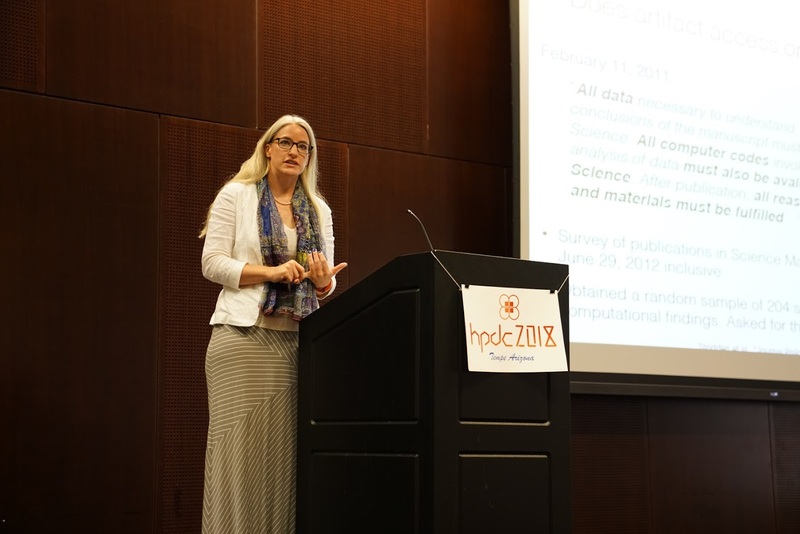 They include the Phoenix Art Museum, Arizona Capitol Museum, Arizona Military Museum, Hall of Flame Firefighting Museum, the Pueblo Grande Museum and Cultural Park, Children's Museum of Phoenix, Arizona Science Center, and the Heard Museum. In 2010 the Musical Instrument Museum opened their doors, featuring the biggest musical instrument collection in the world. Butterfly Wonderland is America’s largest butterfly pavilion that entertains educates and enchants visitors of all ages on the wonders of one of Mother Nature’s most beloved creatures. This state-of-the-art facility includes the Conservatory where 3,000 butterflies fly freely, a 3-D theater, Butterfly Emergence Gallery, Tropical Waters of the World exhibit with a stingray and shark observation pool, Honey Bee Extravaganza, Spineless Giants and the Rainforest Reptile exhibit. OdySea Aquarium, located in Scottsdale, is America’s newest aquarium and was recently voted Kids Best Indoor Entertainment. This multi-level, state-of-the-art facility holds more than 2 million gallons of water and is the largest aquarium in Arizona. OdySea Aquarium offers an educational, interactive and entertaining experience for guests of all ages by combining theme-park style amusement with highly engaging presentations of aquatic life. 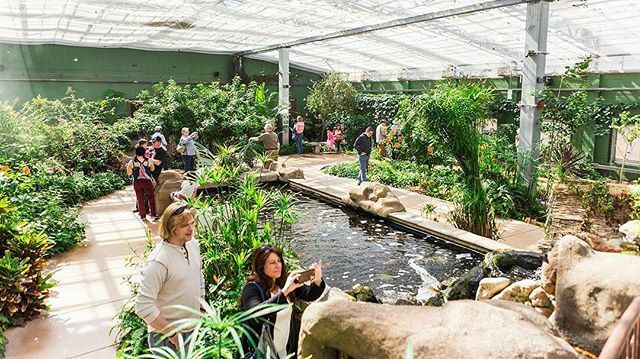 OdySea Aquarium features more than 65 exhibits, 370 species, the world’s only Russian Sturgeon touch exhibit as well as 2 Stingray touch exhibits and a tide touch pool! OdySea is also home to Voyager, where guests take their seats in a stadium-seating style theatre with 46 ft. viewing windows for the “world’s only revolving aquarium experience. Phoenix also serves as a central point to many of the sights around the state of Arizona, such as the Grand Canyon, Lake Havasu (where the London Bridge is located), Meteor Crater, the Painted Desert, the Petrified Forest, Tombstone, Kartchner Caverns, Sedona, and Lowell Observatory in Flagstaff. Most of these places can be visited as part of a day trip that allows you to explore Arizona for the day and be back in town by night. One of the world’s seven natural wonders, the Grand Canyon offers spectacular vistas of canyon walls that have been sculpted from the earth over the millennia by the mighty Colorado River. The shifting sun creates a palette of constantly changing colors, from deep russet to pale pink, from washed granite to golden brown. The South Rim is open year-round. The North Rim is open from mid-May through October, depending on weather conditions, and lodging is available. 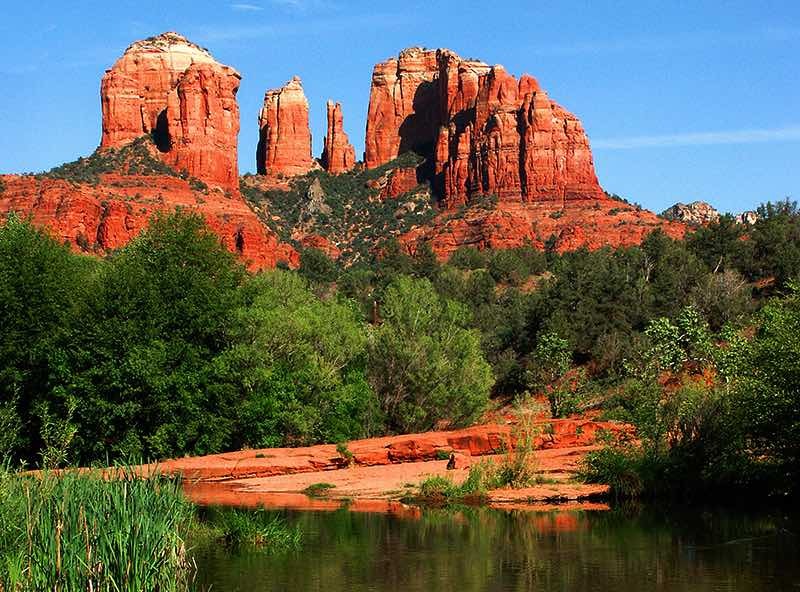 The cultural community of Sedona is a mecca for both art lovers and outdoor enthusiasts. Surrounded by the towering red sandstone cliffs of Oak Creek Canyon, Sedona’s deep red-rock buttes provide a beautiful backdrop to boutiques and art galleries selling authentic Native American and Southwestern arts and crafts. 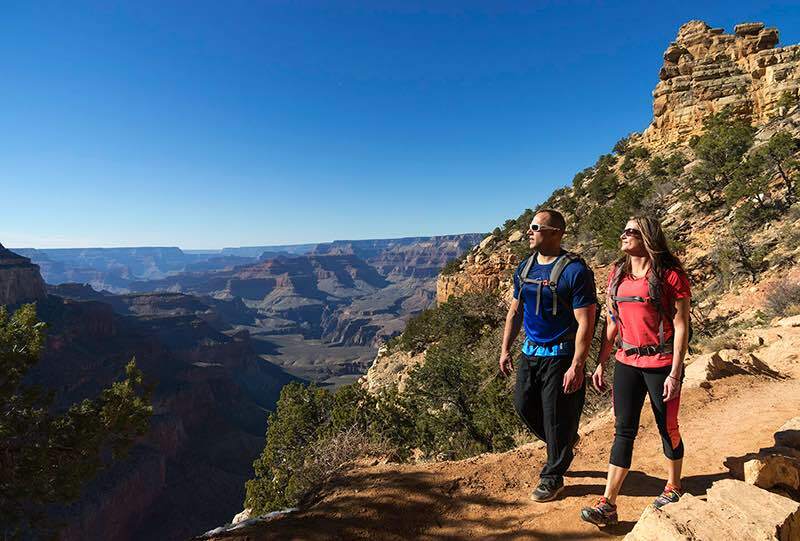 From Arizona boating and off-roading to hiking and fishing, these are some of the things make this one of the coolest Arizona attractions. This is also one of the most family-friendly Arizona locations. 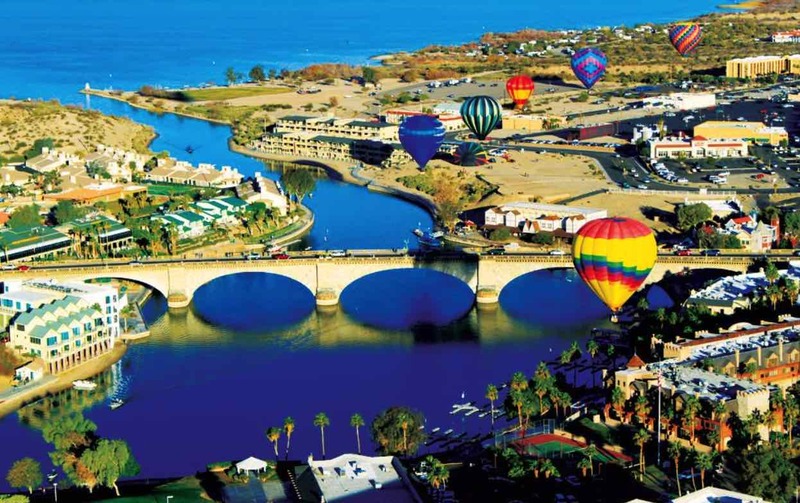 Kick back and enjoy the safe, sandy lake beaches, marvel at the London Bridge or explore Lake Havasu's 60 miles of pristine navigable waterways. 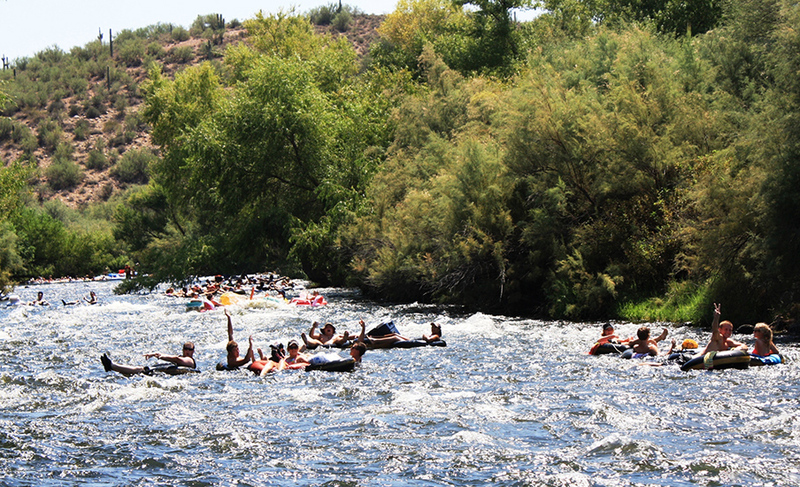 Minutes away from Phoenix, you can spend a day or an afternoon tubing the Lower Salt River rapids in beautiful Tonto National Forest near Mesa, Arizona! The Salt River is a recreational paradise that offers "chills and thrills" while floating on cool and refreshing mountain-stream waters. You can choose two, three, and five-hour trips that include float time and shuttle bus ride. Flagstaff is a town surrounded by dozens of amazing natural attractions, such as Grand Canyon. Flagstaff is home to the Lowell Observatory, known for discovery Pluto. Some of the best star-gazing in the country takes place in Flagstaff. Just outside of Flagstaff are the Lava Tube Caves, Meteor Crater and Walnut Canyon.